The Department of Justice (DOJ) filed an amicus brief Tuesday in support of the Archdiocese of Washington’s lawsuit against Metro over their refusal to allow Christmas ads on their metro buses. 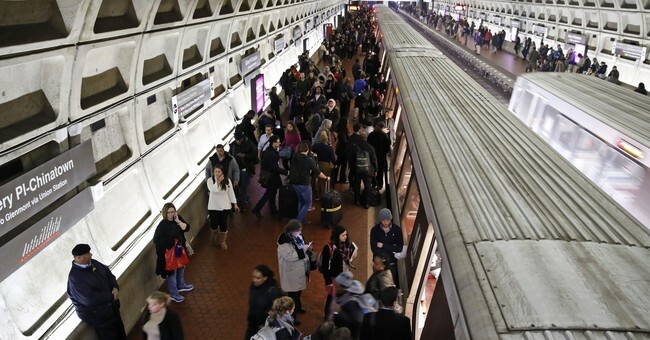 In their brief, DOJ attorneys argued that the Washington Metropolitan Area Transportation Authority’s (WMATA) advertising policy engages in unconstitutional viewpoint discrimination and goes against the Archdiocese of Washington’s free speech rights. “In the context of Christmas advertising, WMATA’s guidelines permit messages which generally express commercial or charitable viewpoints, but exclude messages that express religious viewpoints,” the attorneys point out. WMATA said that the ad violated their policy prohibiting “all non-commercial advertising, including any speech that purportedly promotes a religion, religious practice, or belief,” because “it depicts a religious scene and thus seeks to promote religion,” according to the Archdiocese’s initial complaint, seeking declaratory and injunctive relief in D.C. Court. D.C. Judge Amy Berman Jackson approved of WMATA’s policy in December, reasoning that inflammatory issue-oriented ads could incite violence. The Archdiocese appealed Jackson’s decision to the D.C. Circuit Court of Appeals last month. “As the Supreme Court has made clear, the First Amendment prohibits the government from discriminating against religious viewpoints,” Associate Attorney General Rachel L. Brand said in a statement Tuesday. "By rejecting the Archdiocese’s advertisement while allowing other Christmas advertisements, WMATA engaged in unconstitutional viewpoint discrimination."